Josef Gabriel Rheinberger was born in Liechtenstein on the 17th March 1839. When only seven years old he became organist at Vaduz Parish Church. His father initially opposed his pursuing a musical career, but was finally persuaded to allow his prodigiously talented son to study in Munich. He entered the Munich Conservatory in 1851. He composed prolifically as a student, but did not succeed in getting any music published until 1859. He remained in Munich all his life working as an organist and for a time as a répétiteur at the Court Theatre. In this role he was involved in the rehearsals for the first performance of Tristan und Isolde which took place in Munich in 1865. In 1867, he was appointed professor of organ and composition at the conservatory, and he remained there for the rest of his career. 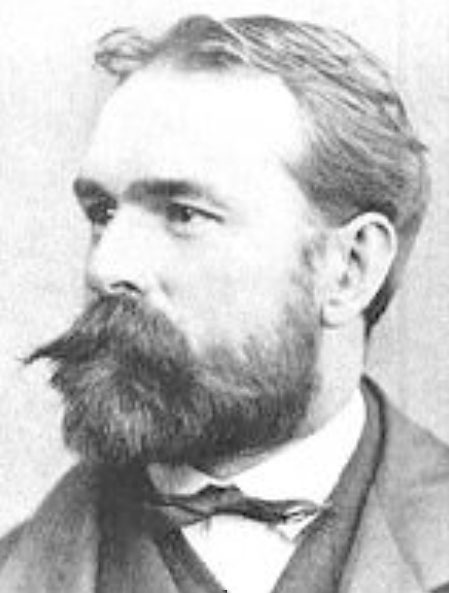 Rheinberger composed many works in different genres. They include twelve mass settings, a requiem, a stabat mater, several operas and symphonies and many works of chamber music. Today he is remembered mainly for his many organ compositions, which include two concertos. His organ sonatas have been called the most valuable addition to organ music since the time of Mendelssohn. The organ concerto in F is a a good example of his work. The first movement is in a compact sonata form with a dramatic first subject and a lush, lyrical second subject. The middle slow movement is calmer and is in ternary form, and the final movement, also in ternary form, has a lively dance theme, contrasted in the middle section by a fugal episode. The harmonic language is influenced by both Brahms and Wagner. Rheinberger died in Munich on the 25th November 1901 and was buried in the Alter Südfriedhof. His grave was destroyed during the second world war, and, in 1950, his remains were transferred to his birthplace. Rheinberger's Organ Concerto in F was performed on the 23rd October 2010 by Johannes Quack accompanied by the combined Portobello and Antoniterkirche orchestras, conducted by Anthony Weeden.